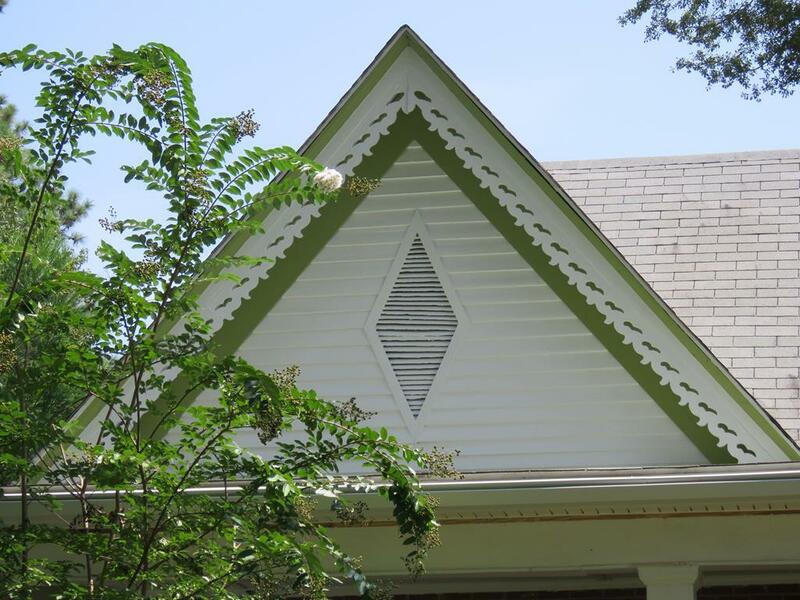 Elegant vintage home is probably one of the prettiest and highest quality restorations you've ever seen. This Craftsman-style 1895 Showcase Home sits on 2.27 acres in the heart of Cross Hill, right on Main St within walking distance to two restaurants, but completely a world away. Every single room is a pleasure unique and cheery, contemporary country and classic, with soft colors, warm hardwood floors or textured tile, and all on one level. Start in the LR French door entry, white wood vaulted ceiling, a remote-start gas fireplace highlighted by a white backdrop and exposed brick, and a long inch glass-topped raised brick hearth wide enough to sit on. It's a perfect contrast. Have you ever seen a Kitchen with 2.5-inch thick granite counters? Absolutely gorgeous and these have a natural textured surface - a tactile delight! Large Eat-in Kitchen has 18 slate tile, more exposed brick, and an amazing amount of custom cabinetry that includes soft-close deep drawers and pull-out shelves. Big Center Island just for prep work. Built-in Credenza w/ display doors running the expanse of a wall and the perfect alcove for the big TV. Pockets doors open to a combo Pantry & the stackable Washer & Dryer that convey. Step outside to a covered & open Back Deck, kept lovely & cool by a big shade tree, with a serene view of the gardens and wonderful green space. The granite-topped table patio set conveys! Deck is also accessed from a spacious Dining Room that can easily accommodate that beloved dining suite you want to keep. All three bedrooms are nicely-sized in a split plan for privacy. The Master has two cedar closets, its own natural gas fireplace and private Master Bath. Bedrooms 2+3 are a true "Jack + Jill sharing a full bath. All the baths are beautifully renovated & custom tiled. Yes, there's a pretty Half bath for guests. Notice the details thru-out the knobs on doors & drawers, beautifully textured walls & ceilings, deep crown moulding & baseboards, Step-in Closets, built-in alcoves in the showers, life-time warranty thermopane windows, custom millwork capping over the doors, all new doors extra wide to French doubles, even the ceiling fans and light fixtures have matching character. The exterior of the home says nothing but Classic- from the traditional broken terracotta tile Covered Porch and the diamond aprons under the windows to the handsome textured brick veneer. Under the house, a vapor barrier and dehumidifier make sure there's no issues. 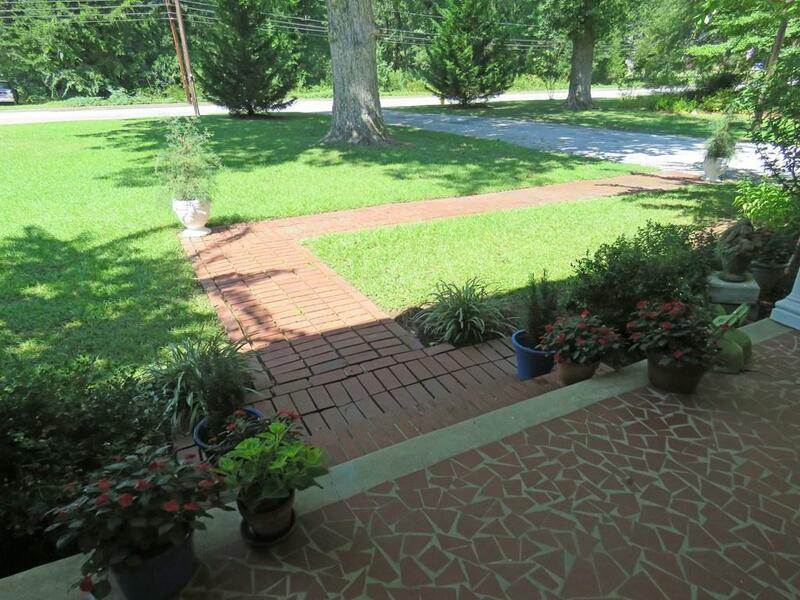 The yard is perfect for someone who likes projects or just puttering. High ceiling 2-car parking between house and the workshop/storage you want. Level rectangular parcel is dotted with multiple garden patches, shady respite spots, a greenhouse, and a small fenced garden for your favorite veggies. Wooded acreage has just the right amount of grassy yard to enjoy riding the old mower around. Sellers say a creek runs thru' the back woods, but home is not in a flood zone. Mature landscaping for great privacy and lots of color from flowering crepe myrtles, azaleas, hydrangeas, perennials and more. No fruit trees to clean up after. Home is on county public water and has a well for irrigation. Sellers have enjoyed creating this masterpiece over the past ten years and now want to head back to Florida. Duct work, some electric/piping have been updated, including the pipe access to the street for county water. The tankless water heater is newer, new gutters recently added all around the house, & the 4-ton heat pump was just installed in 2017. Sellers are providing a 1-year Home Warranty to cover basics and appliances, so you can Buy with Confidence. 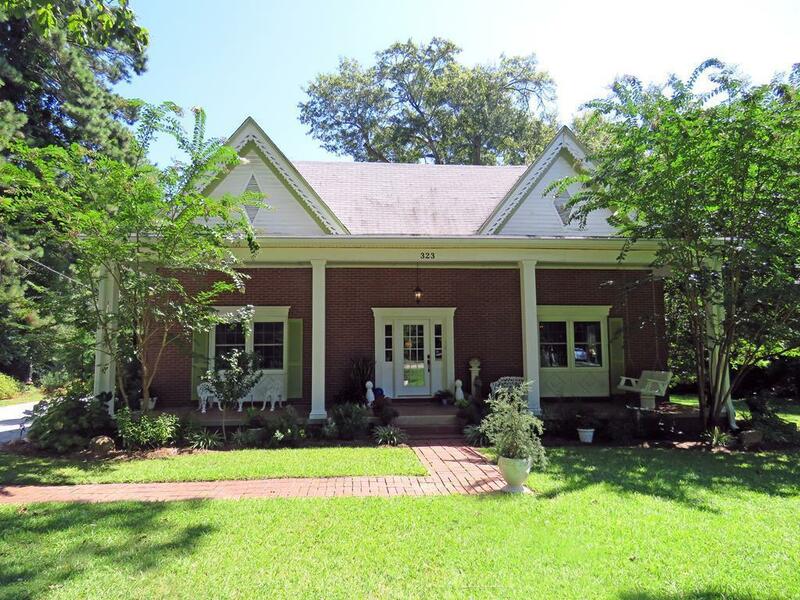 If you make 323 N Main St your dream home, you will enjoy being less than 10 min. 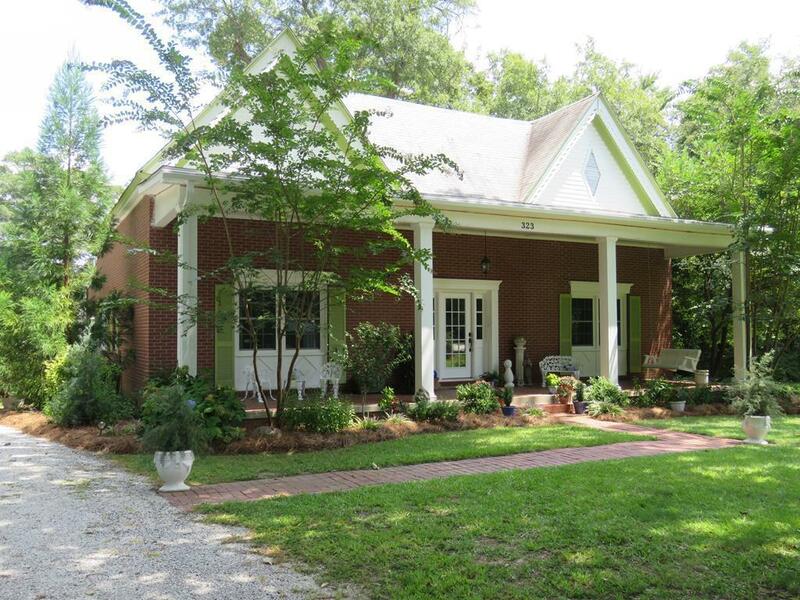 to boating paradise on 11,400-acre Lake Greenwood, 1-10 min. to several restaurants, 5-20 min. away from gas & shopping, and a half hour +/- from Greenwood & Laurens. This is a super charming Vintage Showcase. Welcome Home!